It was way back in 2002 when Firefly lived its relatively short lifespan with Fox. 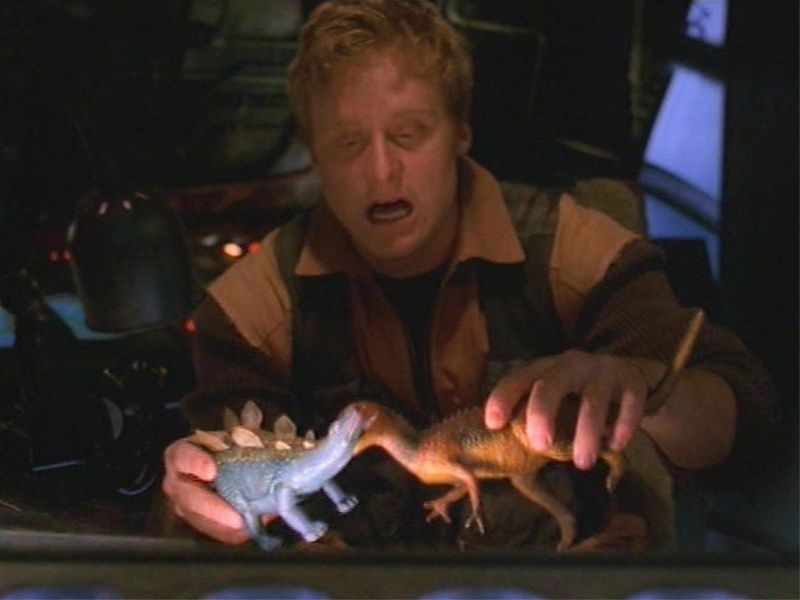 Now Alan Tudyk, who played "Wash" in the series, has hinted that perhaps they just might return. Maybe. "Not only is there a want from fans, but there's a want from Joss [Whedon], and from Nathan [Fillion], certainly, and the cast," says Tudyk, echoing the sentiments of loyal Browncoats everywhere. Fox may have taken the sky from us, but Tudyk reckons there's a way around that. "This [Arrested Development] was taken off the air right about the same time that we were, and that was a show that was on Fox, with a bunch of people who have gone on to do many other things, and they’re getting them back together for another 14 episodes. So it can be done." Of course, it's one thing to dream, entirely another to see something happen. Joss Whedon, while excited by the prospect, is understandably a little hesitant to commit to anything. That and, without spoiling anything for those who someone haven't seen the film Serenity, the status quo was a left a little bit in shambles. So the show's 11 years gone, movies and comics have played havok with the continuity, actors and writers have gone off to other projects, and there are no end of complications to something like a Firefly reunion.